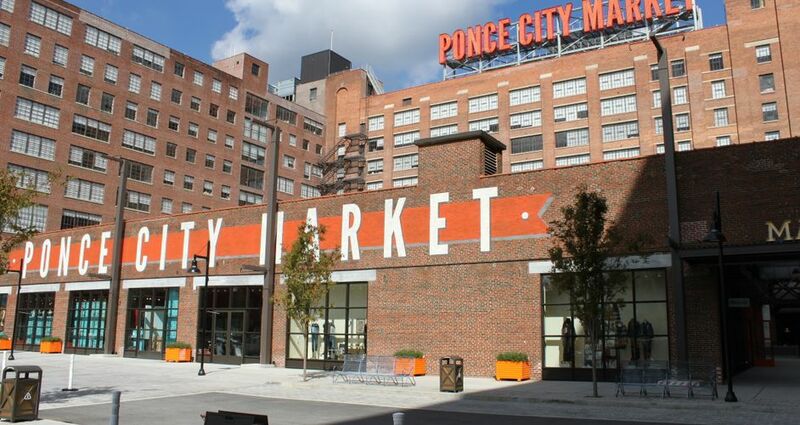 Garden & Gun explore the recent openings at Ponce City Market’s food hall and Bon Appetit highlight how Krog Street Market is introducing a new take on Southern cuisine. Inside the Most Southern Food Hall Ever (Garden & Gun) - At the center of Ponce City Market is a food hall filled with next-level Southern offerings, from a craft cocktail kiosk to a fried chicken shack to a field-fresh salad stop. How Atlanta's Krog Street Market Became an Immediate Success (Bon Appetit) – Krog Street Market is a high-ceilinged 30,000-square-foot industrial space that’s now filled with hundreds of Atlantans lining up for Middle Eastern falafel at Yalla, sweet-and-spicy Szechuan dumplings at Gu’s Dumplings or a seemingly never-ending omakase meal at Craft Izakaya.